Costs: $14.95 + $10 Virginia State Fee. Works on Mobile. Available 24x7. Self Paced. Login & Out as You Please. 5-Star Rated on Yelp, Google & Facebook! Guaranteed to Pass! Unlimited Course Retakes. Course: $14.95 + $10 Virginia State Fee. Same Day DMV Reporting Included. Court Ordered – required by a judge or court to take course for a ticket. Safe Driver Points – Earn 5 Safe Points on Your Driving Record. Insurance Reduction - most providers offer discounts by adding 5 safe points after taking our course. Take Final Exam from Home! We Can Email Your Completion Certificate. Option to Get Sameday eCertificate. Call Our Reliable Support Staff Anytime! Low Price of $24.95. No Hidden Fees! With our online Driver Improvement Clinic, you can take the course at home and final exam at one of the hundreds of locations in Virginia. Upon completion we instantly send you a completion certificate. 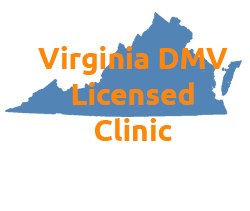 If Virginia DMV is requiring you to finish a Driver Improvement Clinic to to reinstate your license you can take our course and we will report your completion directly to the DMV. This will also earn you a 5 Safe Points on your driving history. All you have to do it finish our course. Cheaper Course & Guaranteed to Pass! We designed our course keeping an average driver in mind. Our Self Paced Course saves your progress automatically. 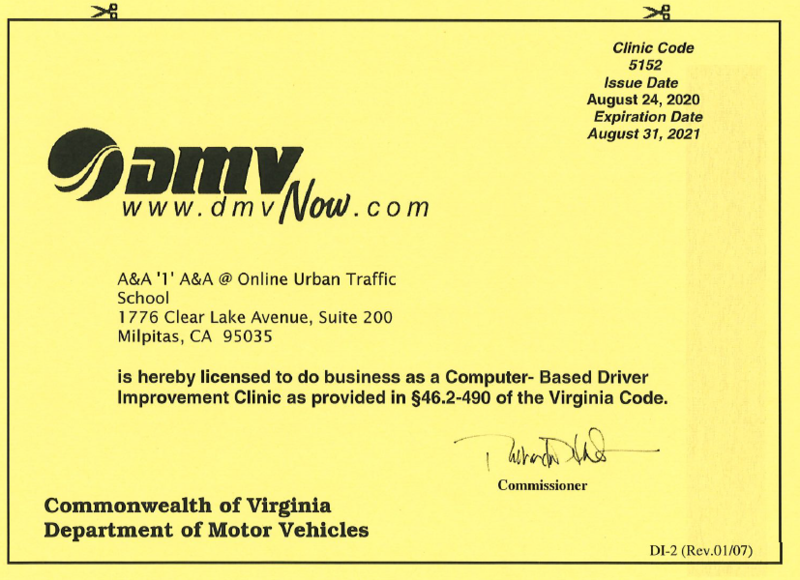 We are so confident in our course that if you do not pass our Virginia Driver Improvement Clinic, your next retake is on us! Compared to a boring classroom $60 - $80 course that waste your time and money, we offer much cost effective online course. We promise you an easy, self paced and fast traffic school for unbeatable price. If you're unhappy request for a refund anytime! State of Virginia residents must take the final exam at a proctoring location. Urban Traffic School has teamed up with over 100 locations where you can go and take your final exam taken. Cost of proctoring center can be free or less than $10 depending on each location. Click here to get list of Virginia Proctoring Center Locations. We made our course as simple as possible. With five chapters to study and having practice quizzes, helps you get ready for the final exam. The final exam covers what you study in our course. With over 99.99% success rate, rest assured you are making the right choice choosing us. if you are under 20 years of age or hold a Commercial Driver's License (CDL), you are not permitted to take this course on-line.